Please check out our newest addition to A Colony in Crisis, Haitian Creole translations! We also welcome Haitian Creole Project Director Laurence Jay-Rayon Ibrahim Aibo, translators Daphney Vastey and Pierre Malbranche, as well as AJ Kelton, Cécile Accilien, and Laura Wagner to our new Haitian Creole Board of Advisors. 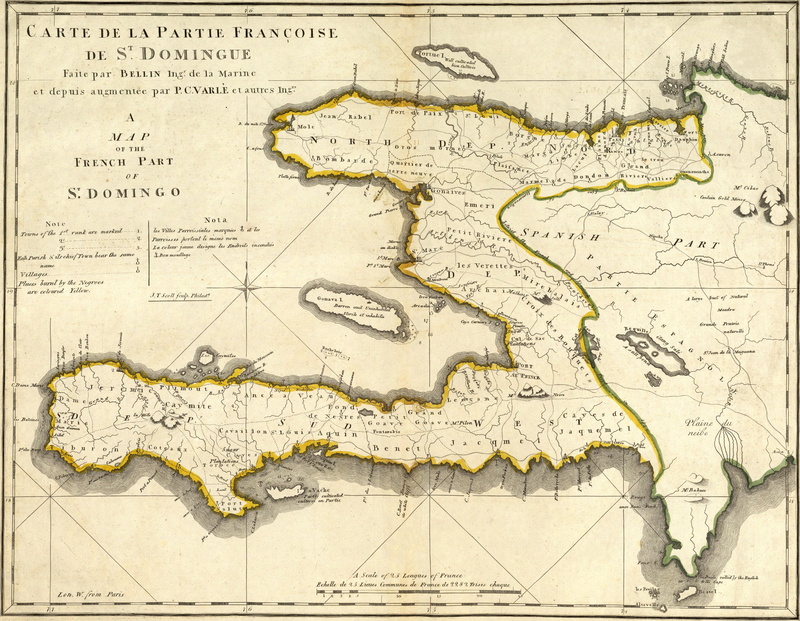 The website is designed to provide online access to both the French originals and the English translations of key primary sources dealing with the grain shortage faced by the colony of Saint-Domingue in 1789, which are found under the Translations menu. Alongside the French original, each translation is presented with a brief historical introduction to situate the reader in the time period and help understand how this particular pamphlet fits into the episode. Each document has been reviewed by one of the scholars on our Board of Advisors. These pamphlets are primarily drawn from the University of Maryland’s Special Collections, although related items available at other institutions have been included as well. Please see our Worldcat list if you are interested in the physical items. The primary goal of A Colony in Crisis is to get these fascinating and underutilized pamphlets into more hands and shed light on an interesting chapter in the history of Saint-Domingue. Visit the the Project page to read more. This initiative is part of UMD’s Revealing La Révolution project. Be sure to stop by our Acknowledgements page for a full list of the people and places behind A Colony in Crisis. We could not have done it without their support. By no means do we claim the final word on the Grain Shortage of 1789. Please review the Additional Resources list and join our Zotero Group to contribute to the library so the website’s users can follow up and learn more! This is a very great initiative, especially for native English speakers! I’m francophone, but this is a website I will be more than happy to share around! Very useful for my students at UCONN. Critical thinking has long been considered as heresy with the arrival of “identity politics” and “identity academia” . This is an exemplary case study. This is great! I look forward to using this with my students.